In a totally unexpected pleasant surprise, Nintendo has released a brand new update for Mario Kart 8 Deluxe, which adds Labo compatibility to the game. Specifically, with Toy Con 01 (the Variety Kit), where one of the things you can make for yourself is a motorcycle handle, with the Switch seated in the middle of it- is the configuration that now supports Mario Kart 8 Deluxe. You can watch the video Nintendo also released to figure out how that might work. Apart from the Labo support, the new patch also adds some other minor updates and fixes to the game. Nothing too major, really- Labo is the big takeaway here. It adds yet another way to enjoy what is already a very enjoyable game on the Switch, and one of the best titles on the platform. 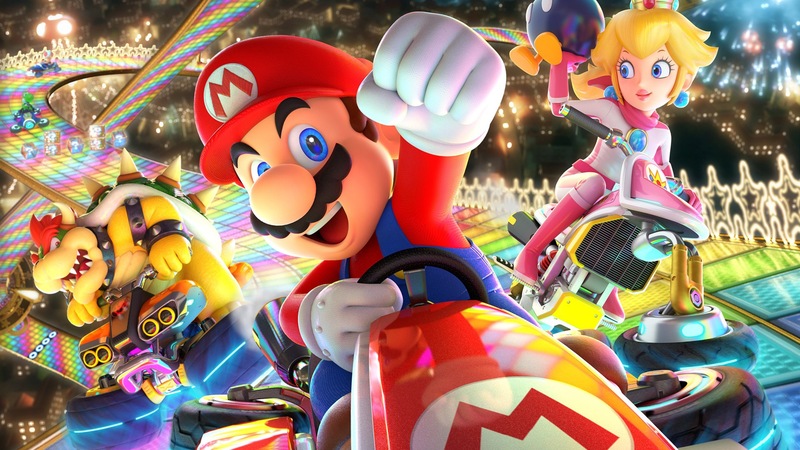 If you own a Switch and haven’t bought Mario Kart 8 Deluxe already, now will be the best time to go and get it- even without Labo, it stands as a modern multiplayer classic everyone could stand to have for their libraries.